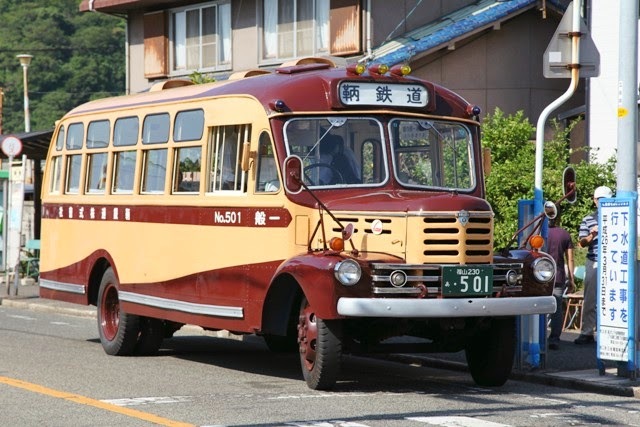 Bus Stop Classics: Japan’s Bonnet Buses – A Nostalgic Reminder of an Earlier, Less Hectic Time…. Why bonnet? The Japanese use “bonnet” in the same sense that our friends in the UK do – to designate the hood or engine cover of a vehicle. 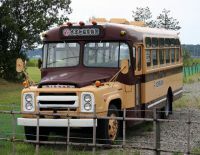 These conventional layout buses used an existing truck chassis that exposed their engine “bonnet”, in comparison to a forward control or a rear engine bus that concealed the engine within its bodywork. And ubiquitous they were as Japan’s economic miracle was just beginning and car ownership was still mostly for the wealthy. 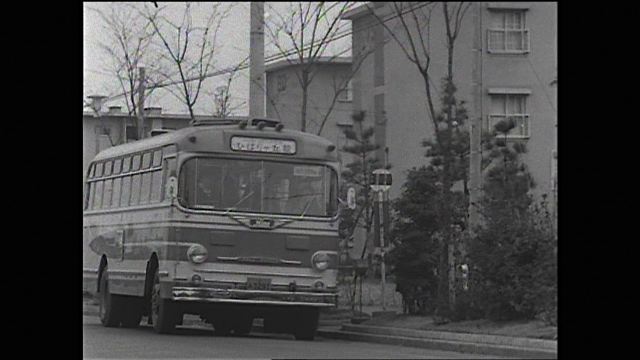 Buses and trains were the main mode of transportation and these coaches were an everyday sight on Japan’s streets. 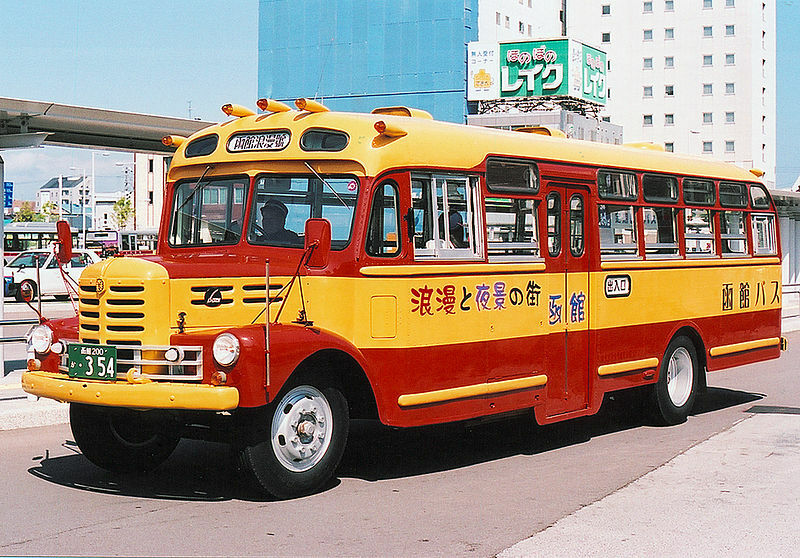 In comparison to today where Hino has the largest share of the Japanese bus market, Izusu was by far the largest producer of buses and trucks in the post-war period through the 1970s. 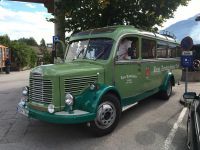 This is a 1948 BX 91 model, one of the first buses produced after the war. This was followed by the BX 141 in the mid-1950s – here in 21 pax form. 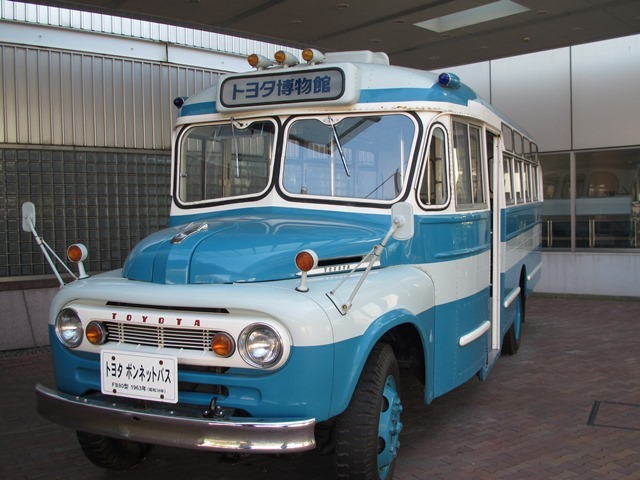 Next came Isuzu’s most popular coach, the BXD 30 – the “GM Old Look” of Japan – it was made from 1963 to 1970. 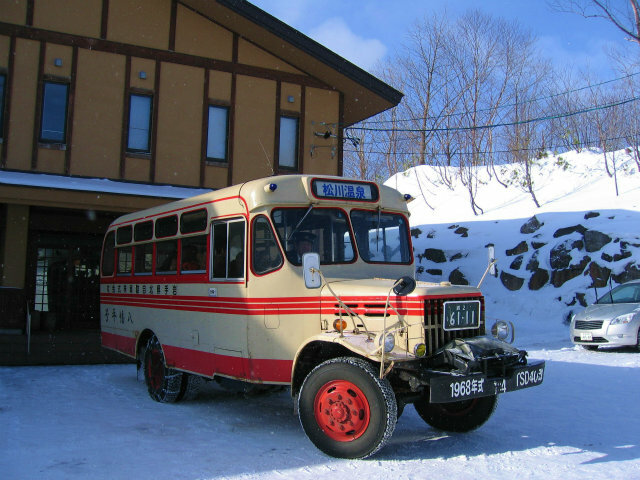 …as did Mitsubishi-Fuso – this one a 4WD version used in Northern Japan. Most used an inline 6 cylinder diesel engine in the 4.0 Litre range. 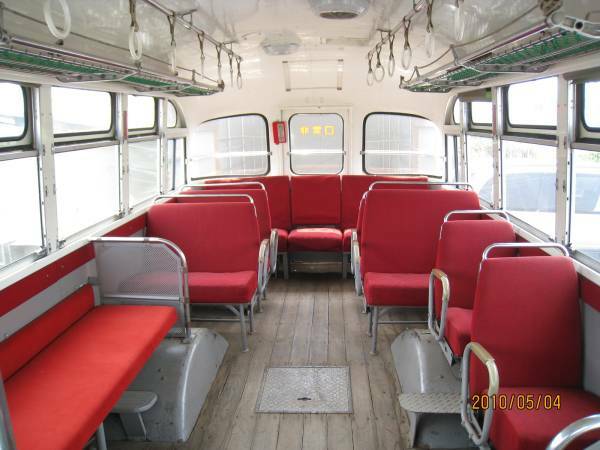 Interiors used both forward facing and side seating. But as they say, progress marches forward. 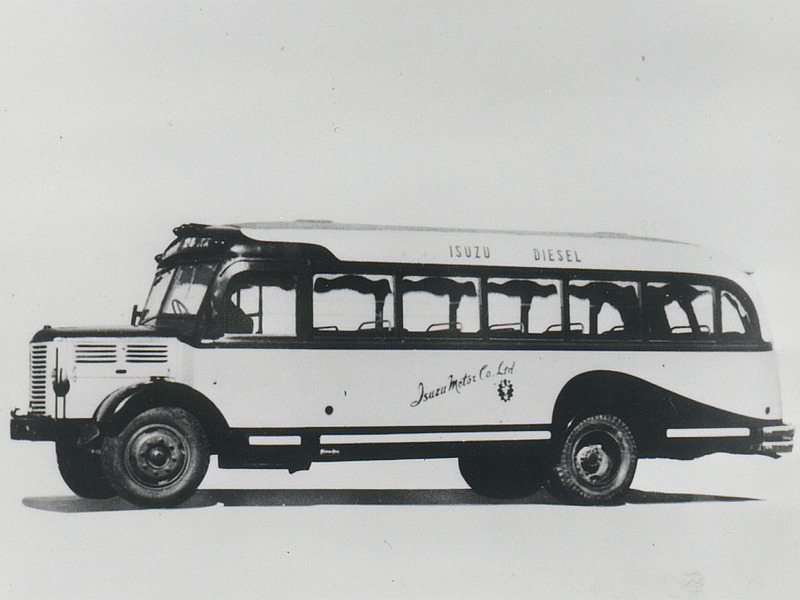 The space efficiency of under-floor or rear engine buses made them much more profitable for operators… here is a late-50’s Hino rear engine model – by the early 1970s, most bonnet buses had been retired. 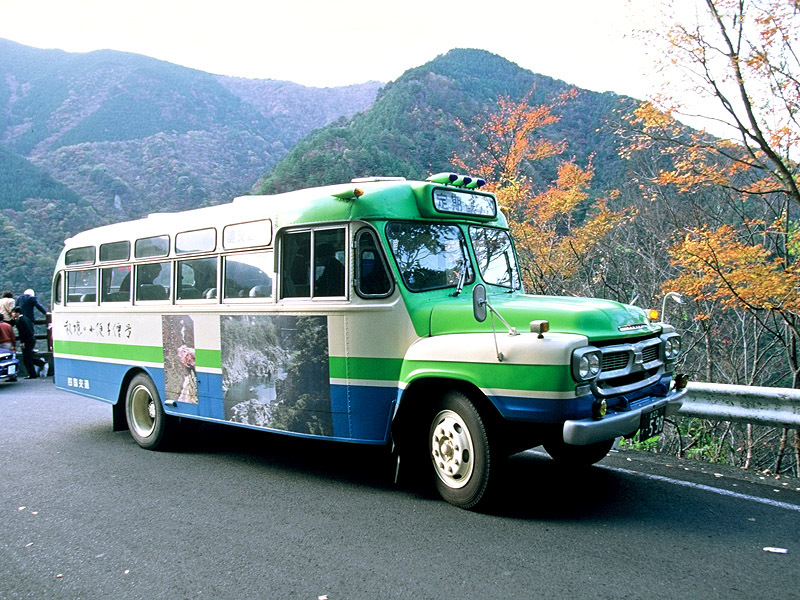 …and this BXD 30 takes tourists around scenic areas in Shikoku. As mentioned before, the sight of one is guaranteed to bring a smile. Awesome story! 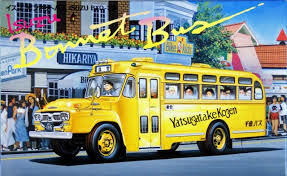 I knew that Japan had buses, almost every country has a bus system, but because I’m not from Japan, I’ve never seen a Japanese bus. 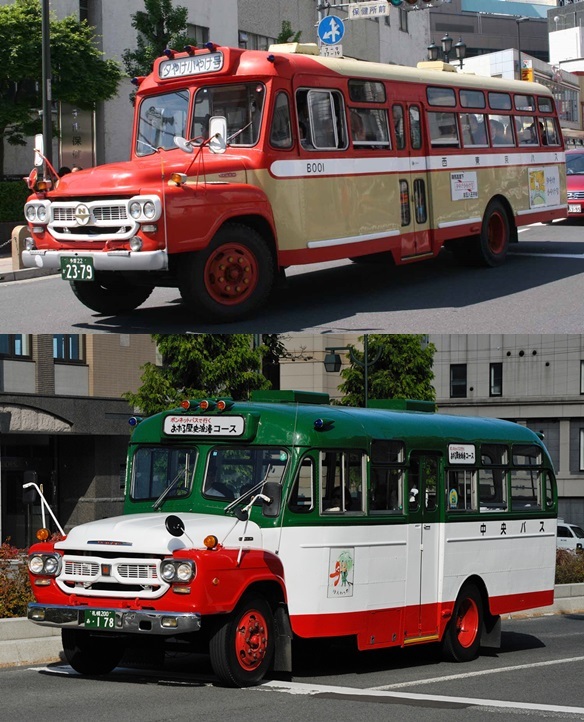 Among my favourite Japanese buses shown here are the green, white, and red Isuzu BXD 30. With the green, white, and red colours, that bus would almost look at home in Mexico, or Italy. Great looking machines. Thanks for posting them. 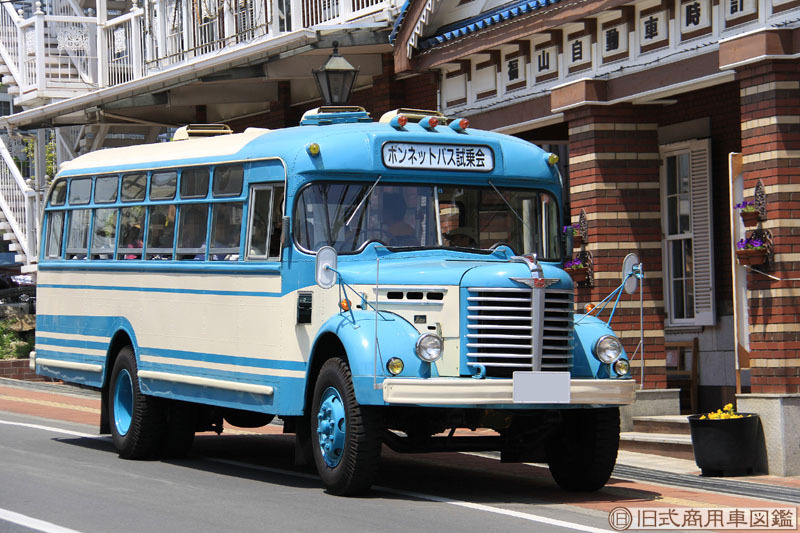 Japan’s Bonnet Buses were identical in design with the North American School Buses so it would not be surprising if either countries and continents adopted this design. Needless to say, these hooded buses look a lot like the European buses of the past. Some of them look very similar to the Steyr 380 bus, which I have written up here a few times. … and as used to be the case in Israel until the late 50s, although in our case they were mostly American made as the GMC 750 below (pic from the Harvard Uni Israel archives). 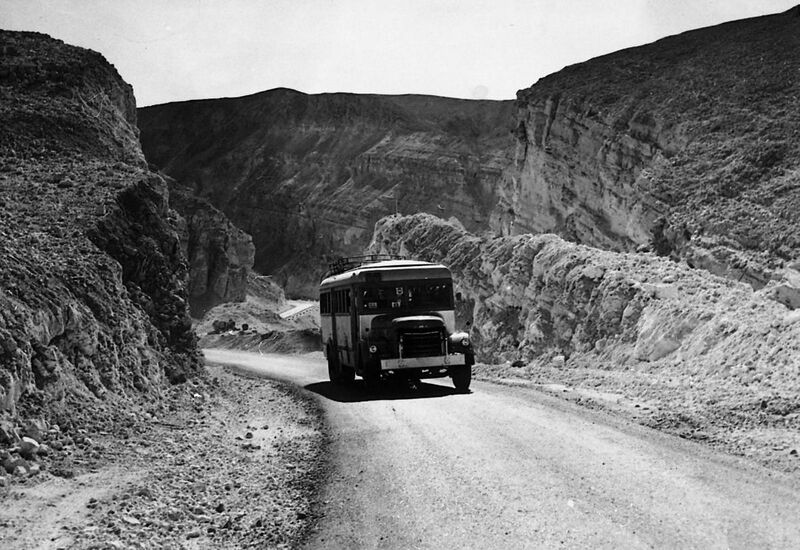 Modern, underfloor buses came to Israel already in the 30s but the market was not ready for them and operators viewed the more sophisticated offerings from GMC and Flxible as too fragile for Israeli conditions (not true for the Flxible, as its use in Australia attested). It took sometime but in the late 60s the transformation was complete. These aren’t cab-over-engine designs, obviously, but to my eye it looks like the front axle is set very far back in most of them. (Compared to a modern American school bus, which is the nearest equivalent I usually see.) So maybe they had some extra maneuverability, even if they weren’t as space-efficient as a COE. Yes, it was common to set back front axles in Europe and Japan for better maneuverability in the dense cities. 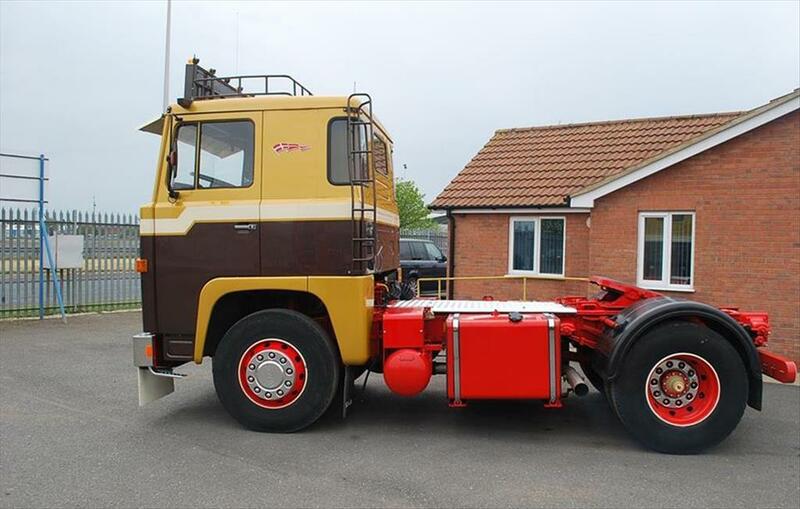 Even all COE trucks, like the 1980 Scania below, have a set back front axle in Europe. This type of Scania was also available in Australia, but over there it had the front wheels directly behind the bumper, just like the heavy-duty US trucks of yore (like the Peterbilt 362, for example). This Nissan makes me think Dodge for some reason. 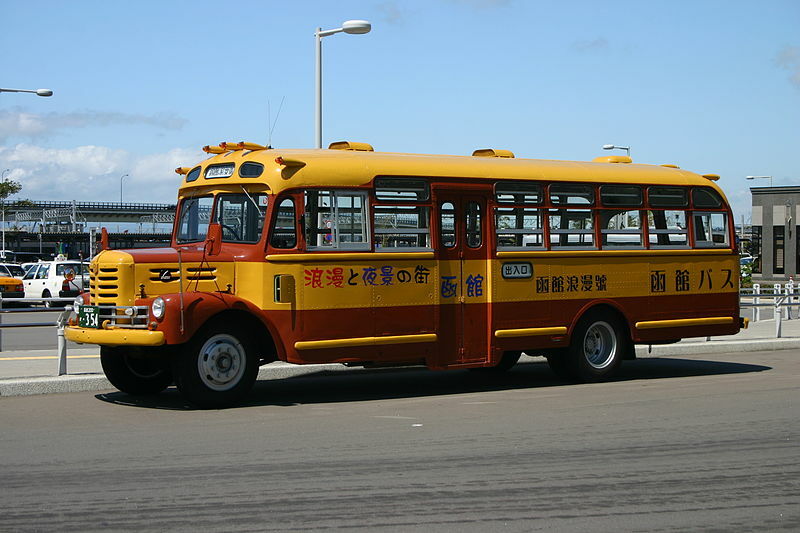 I remember riding the Isuzu BXD30 buses used as municipal city buses in Taipei, Taiwan, 1970, as a young kid. They remind me of the DINA buses I saw in Acapulco years ago – overgrown school buses. The BXD30 nose reminds me of a ’58-’60 Ford F100. 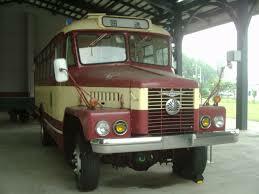 Re the bus in the third to the last photo identified as a 1968 Isuzu 4WD. From the windshield forward, it looks like reminiscent of the military-style Dodge Power Wagon, although the hood and radiator is a little taller. 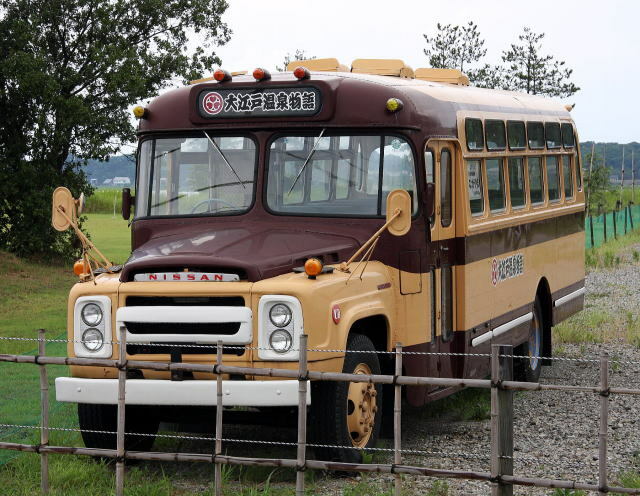 A Japanese friend, who is now in his late 80s, tells me Isuzu has a long history of making buses, dating back to pre-World War II. 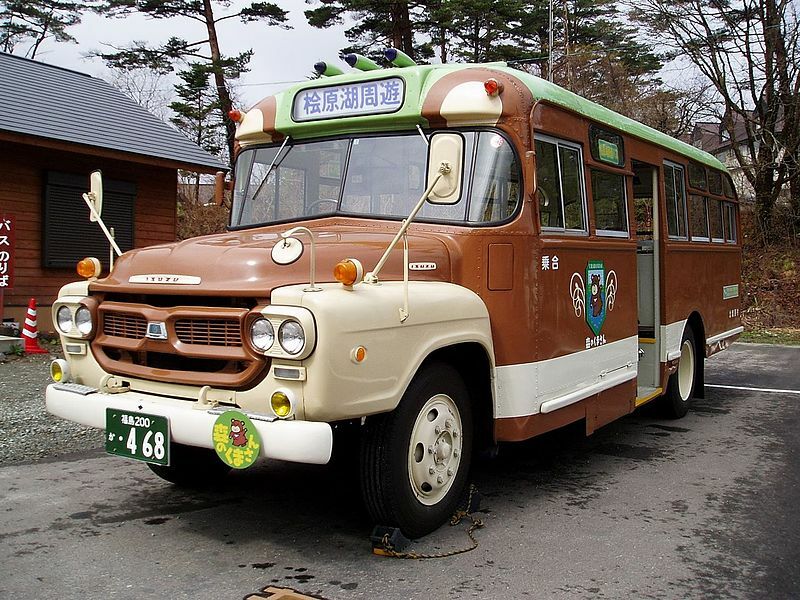 when we lived in Okinawa during the late 1960s, I remember seeing and riding in Hino buses.